From a distance, it seemed as if Charles Humphrey III was living a bluegrass musician’s dream. 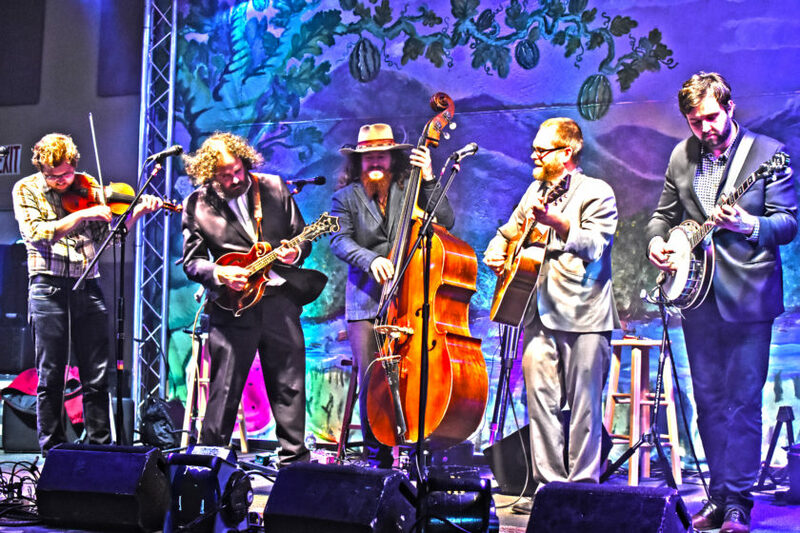 As the bassist, and one of the principal songwriters for the Steep Canyon Rangers, Humphrey was playing to bigger and bigger crowds, crowds fueled in part by the bands 15-plus years of touring and recording, both on their own and in association with Steve Martin. Touring and recording with Martin, the American comedic actor/banjo picker, gave the Steeps the sort of exposure few bluegrass acts get. Sold out shows and television appearances with Martin were leading to larger crowds and better album sales for the bands’ work sans Martin. Since their first album with Martin, 2011’s “Rare Bird Alert,” the band had released four albums on its own. Three went to No. 1 on the US bluegrass charts. The fourth, 2012’s Nobody Knows You, topped out at No. 2. They won multiple IBMA awards and a pair of Grammys. 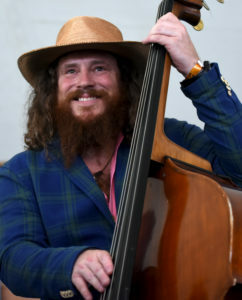 Needless to say, it came as a bit of a shock to the bluegrass community when in December 2017, on the eve of the release of SCR’s latest album, and a national tour in support of that recording, Humphrey walked away from the band he had helped found in 2000 as an undergraduate at the University of North Carolina. For Humphrey, that was the catalyst. This was a chance to play full time with close friends who’d been collaborators in the Songs From the Road Band, which for many years was a side project that got its start as a bunch of Ashville, North Carolina based musicians getting together to pick a little when they were in town between tours with their full-time gigs. It’s a Sunday afternoon in NFL football season. Despite the popular “Never miss a Sunday show” mantra oft repeated by concert goers in the states, free admission, and the popularity of BChord as a bluegrass venue, there are maybe 50 people in attendance on this afternoon. BChord is too far from major population centers to be convenient for most folks on a Sunday evening and Songs From the Road Band is not yet well enough known to overcome that. The smallish crowd doesn’t phase the band in the least. Even though the band’s members all have impressive bluegrass pedigree, Humphrey acknowledges they are still an unknown to a lot of people. That is why they have been out on the road almost nonstop since early this year, playing everything from the second stage at big festivals to headlining shows in small venues, like BChord. “All we have to do is to do our job and deliver the show. They’re here to see us and if we do our job, they’ll become our fans for life,” he explains. It is a formula that is working. During festival season, they created quite a buzz at every stop. Social media posts were full of comments from fans raving about the “new band” they had discovered. Few realized that they were not really a new band. Their latest album, “Road to Nowhere,” is actually their fourth release. 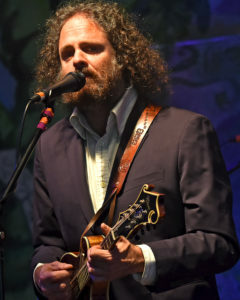 The first, “Songs From the Road,” was named for the music, most of which Humphrey had written while on the road with Steep Canyon Rangers. 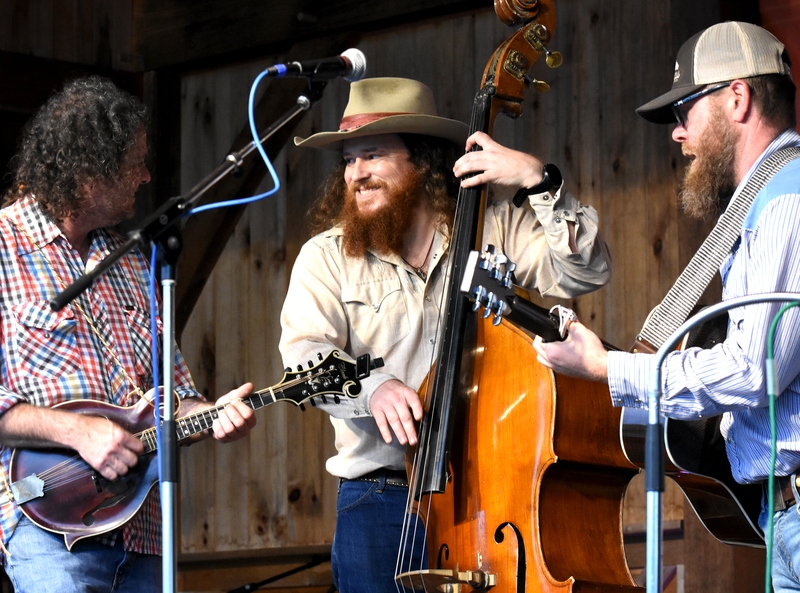 “Our name came about from the title of that first record,” says guitarist Sam Wharton, who shares lead vocal duties with mandolin picker Mark Schimick. It was a rotating lineup through those first three recording projects, based, in part, on who was in town at the time. The constants throughout have been Wharton, Schimick, and Humphreys. 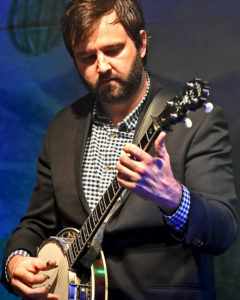 When James Schlender, a two-time national fiddle champion moved to Ashville from Montana, and banjo virtuoso Ryan Cavanaugh decided to return to bluegrass after 10 years touring with Bill Evans’ jazz Soulgrass project, the decision was made to make the lineup permanent and to hit the road to tour in support of the new album, something the band had not done with previous recordings. So far it is working. The “Road to Nowhere” album has gotten strong reviews and the first single released off the album. “Lesson I Can’t Unlearn,” has gotten heavy airplay. The album has spent time at No. 1 on the Roots Music Report’s charts and the single reached the top spot on Bluegrass Today’s Grassicana charts. 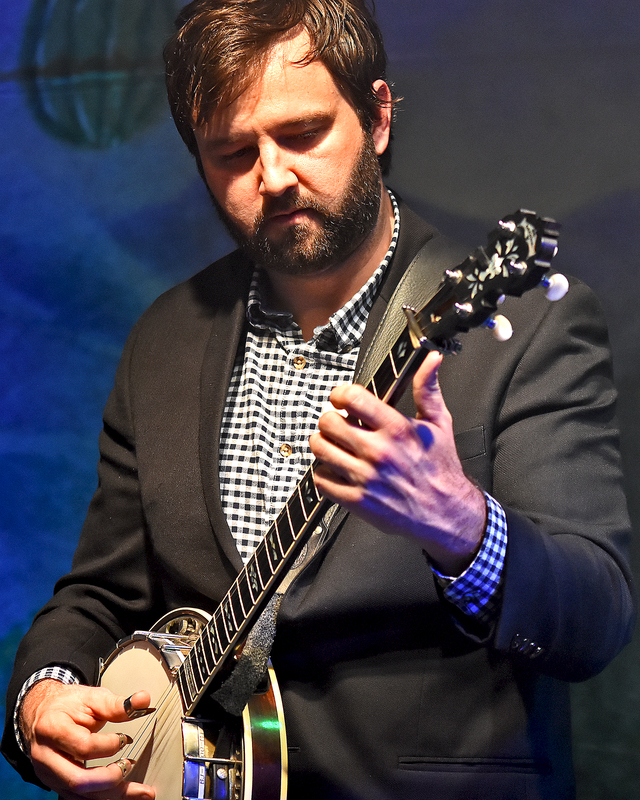 Bigger crowds, headlining gigs at major festivals or in bigger venues, Grammy and IBMA awards, Humphrey is confident those things will come for Songs From the Road Band.